Digital x-ray technology uses a small electronic sensor placed in the mouth to capture an image, which can be called up instantly on a computer screen. When digital x-rays first became available about 20 years ago, they immediately offered a host of advantages over traditional x-ray films, which require chemical processing. 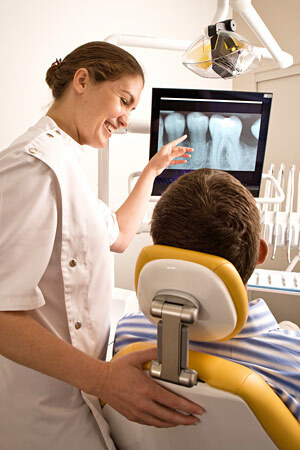 Most importantly, they cut the amount of radiation exposure to the dental patient by as much as 90% . While faster x-ray films have been developed over the years that require less exposure, making that difference less dramatic, a digital x-ray still offers the lowest radiation dose possible.